For fast, efficient and quality engraving, trophies, glass, gifts and signs based near Dorchester, Dorset, providing an engraving service to the whole of the UK, Martin Dare Engraving can engrave your own trophies, cups, awards, medals, shields, gifts, tankards, glass, signs, plaques or choose from our online shop and catalogues. We engrave on a number of surfaces, so whether its silverware, pewter, brass, laminate or glass, get in touch for your engraving. Martin Dare Engraving offers competitive prices, collection and delivery (in some areas of Dorset) and a fast and friendly service. 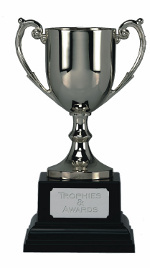 Our range of engraving products and services include trophies, cups, awards, shields and medals which can be used for corporate awards, school prizes and awards for sports clubs or societies. We also offer special rates if you have a number of your own trophies, cups or shields that require a name and date engraving. For example annual sports awards or shields. Martin Dare Engraving can provide brass and laminate signs and plaques, various boat signs for the marine industry and funeral plates and coffin plates for funeral directors. We are usually able to provide a same day dispatch service for funeral directors. 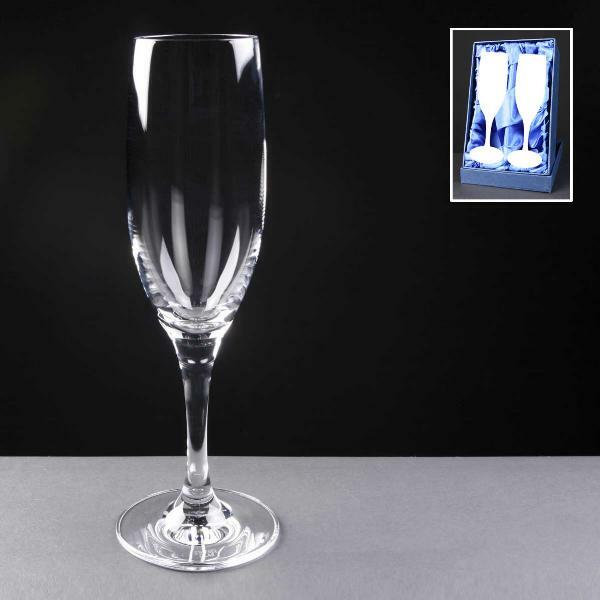 We offer and engrave a range of gift and glassware for events or special occasions. For example award ceremonies, wedding and christening gifts, various glasses, tankards, corporate awards and crystal glass is available. Your own text and logos can be engraved on the glass, and we also have a number of standard logos. See our main glass page for more details. Martin Dare Engraving also offers a wide range of gifts for special occasions such as weddings, christenings, birthdays and anniversaries. Personal gifts for the best man and bridesmaids, and stag and hen nights are available for engraving. For your special pets, we are able to provide a variety of pet tags, with your pets name and your phone number engraved free. For pets that are sadly no longer here, we can engrave your pets name on a beautiful brass or aluminium pet memorial sign, plaque or stake. 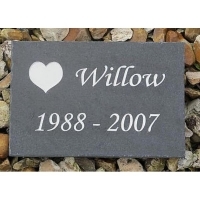 These pet memorial plaques are available for dogs, cats, horses, fish or rabbits, or there is a general, in loving memory stake.